The Prince. The Pauper. The Dark Night. Did any of you catch that brief scene where Chuck Bass is wielding facial hair?!? I sure did. Love. I really do love a bearded man. (Me and Ke$ha have that in common - and a love for glitter throwing.) Who am I kidding? I love chuck bass with a mustache. I love him with a Gandolf beard. I just love him. On a related Gossip Girl note, I recently saw Chace Crawford in a bar in Dallas. He's from here and has been known to troll the bar scene for ladies. I thought I'd struck the jackpot, but unfortunately he's short. Tragically, unfortunately, short. He was beautiful, don't get me wrong, but the height was a dealbreaker. Womp Womp. He was honestly short enough that I forgot the whole incident until now...and I live for celeb sightings. omg omg omg. i just died. i CANNOT WAIT for tonight! I must be the only young woman that doesn't watch this! 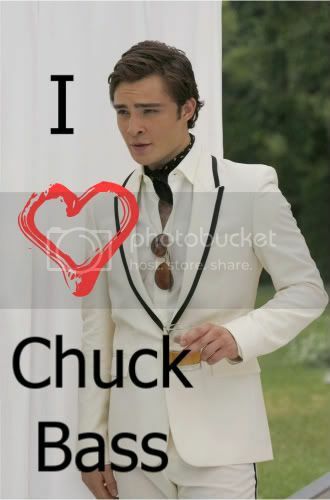 Oh man, I love Chuck Bass too. Here's hoping for a Blair & Chuck reunion! For the record, I was under the impression the guy we saw at the bar as Chuck Bass. I might have even called him that, among other things. Whoops!